Unfortunately, due to various commitments, I haven't been able to go storm chasing as much as I would have liked since about halfway through 1998. 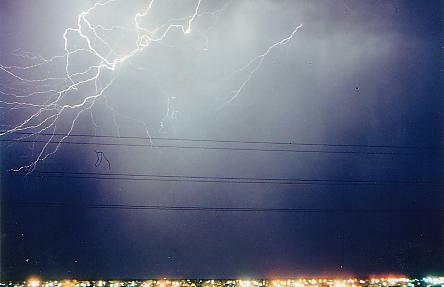 From 1998 to 2001 I have done very little photography but here are some of the shots I did get. 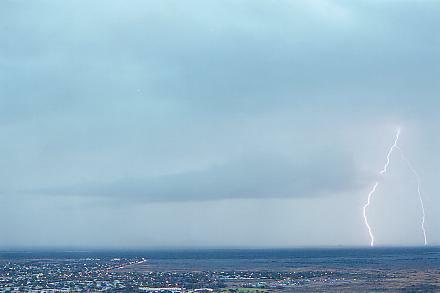 The photo above is some afternoon lightning at Whyalla. 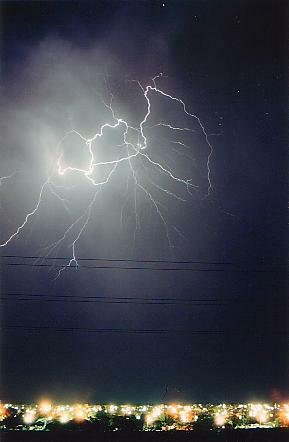 Cloud to cloud lightning (jeez I hate powerlines).